Ten years ago, parents of children with developmental challenges were hard pressed to find quality programming for them in Massachusetts, not to mention respite care to give themselves a break from constant caregiving. Today, those families have HOPe – the House of Possibilities on the grounds of Stonehill College in Easton. 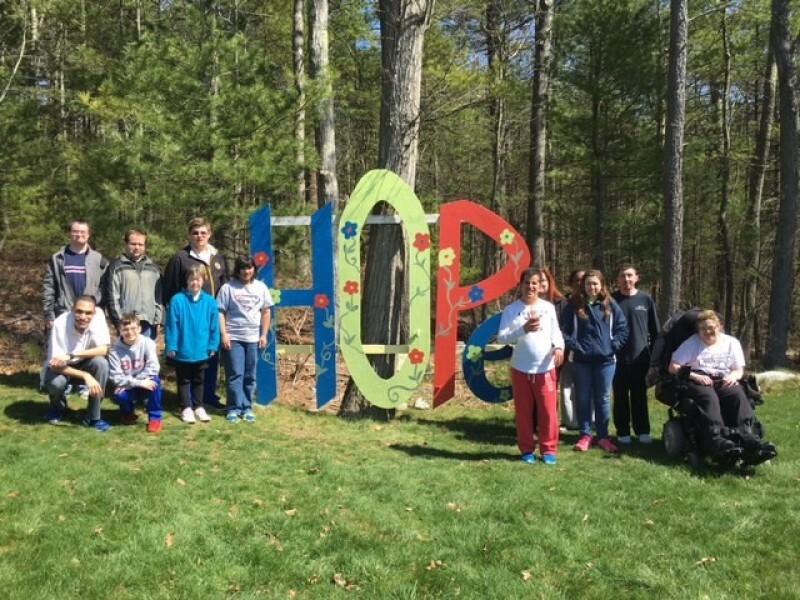 Since 2009, HOPe has been providing top quality care and exceptional programming to more than 1,000 children and adults with developmental challenges as well as 3,000 extended family members. Some two dozen families in the Medfield/Norwood/Walpole/Dedham area are currently being served by HOPe, the only place of its kind in Massachusetts. Paula Kavolius, Founder and President, emphasizes that HOPe’s programs are not self-sustaining and that HOPe needs additional support to enable it to carry out its mission and continue to build its community of hope. Paula will be co-chairing Endless Possibilities, HOPe’s Annual Gala, to be held on Thursday, June 23, at 6:00 pm at Gillette Stadium. Hosted by Fox 25 Morning News anchor Gene Lavanchy, the Gala will include a cocktail reception, dinner, and silent and live auctions. Keynote speaker will be Dr. Ronan Tynan, world-renowned Irish tenor, physician, recording artist and paralympian. Tickets are $150 per person; proceeds will go towards HOPe’s programming to foster the physical, emotional and social wellbeing of each person who comes through its doors. That includes HOPe’s hallmark program, Overnight Respite (ONR), which gives caregivers much needed respite while their children and young adults (ages 8-21) enjoy a Saturday overnight with their friends. ONR is free of charge to families. HOPe offers integrated programs of activities and therapies on weekdays for adults and a variety of social programs on the weekends for children. HOPe programs bring clients into the larger community for skill building, integration and recreational opportunities. For Gala information, contact Karen Santo at 508-205-0555 or k.santo@houseofpossibilities.org.